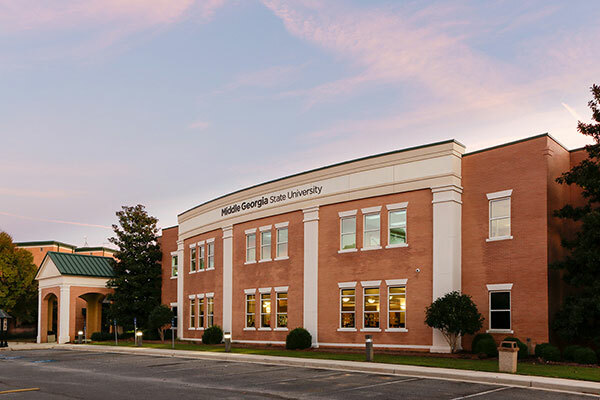 Bachelor's degree programs are coming to Middle Georgia State University's Dublin Campus. Dr. Christopher Blake, MGA's president, announced the programs - Health Services Administration and Interdisciplinary Studies - during a recent reception celebrating the Dublin Campus's 30th anniversary. "Students have met with success at our Dublin location for three decades," Blake said, "and we can be sure that in the next 30 years the demand for higher education will be even more critical to individual and collective growth and development. These programs will enhance our presence in Dublin and Laurens County and support the community's economic progress." The Bachelor of Science in Health Services Administration (HSA) will roll out during the 2016-2017 academic year. As has always been the case, students based on the Dublin Campus can complete the core curriculum through face-to-face courses with faculty members. Then, through a combination of face-to-face, online and digital videoconferencing courses, they will be able to complete junior- and senior-level courses in the HSA program, which is designed to prepare managers and leaders for healthcare organizations. "At a time when healthcare is one of the fastest growing industries in Georgia and across the country, this offering will open doors for Laurens County residents," Blake said. design their own programs of study and pursue an education that builds on their unique interests, backgrounds and career goals. Students complete at least 15 hours of coursework in a single disciplinary concentration. To determine a concentration that would best serve Dublin area economic needs, Dr. Greg George, director of the University's Center for Economic Analysis, will consult with local business and civic leaders. Laurens County, about an hour southeast of Macon, is the site of a major VA hospital and a regional hub for distribution centers. About 500 students take classes at Dublin Campus, which opened at its current location near Carl Vinson VA Medical Center in 1986. Through traditional face-to-face classes, Dublin Campus students currently can earn associate's degrees in several disciplines, including Nursing. Dublin area students also have access to MGA's online bachelor's and master's degree programs. Besides Dublin, Middle Georgia State University has campuses in Macon, Cochran, Eastman and Warner Robins.